When faced with a project there are many ways to get it done. Here we have two types of strategies to approaching projects: agile and waterfall. Agile is quick paced and is likely to have more short-term goals that “keeps the teams at a constant high pace and productivity” (projecttimes.com). Agile projects are not necessarily all short term but the iterations within the project are completed in short periods of time. The article goes on to explain one of the principles of agile project management, which is time boxing. It “establishes cadence and, after two or three iterations, the team learns how much output they can produce.” Time boxing is not as flexible as other project management techniques. 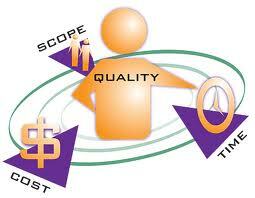 There is a set time frame for each aspect of the project and “it doesn’t matter if you can’t do them to perfection. Completing the task is the goal” (blog.online.net). We can also use cadence in waterfall projects as well. Waterfall is a more traditional approach. Some may say that it’s not as effective as other approaches or to avoid this technique, and others find it is efficient. It follows a stricter schedule, and includes very important details; even the smallest detail is an important one. Using cadence for waterfall projects can help move the team to being as high energy as the teams in the agile projects. The first point of cadence is keeping a weekly schedule with milestones being completed. The first week should be the week that everyone gathers his or her information. When they meet again at the end of the week the project manager adjusts the schedule to fit the conditions of the information. Which brings us to the second point of cadence: “is the next milestone still on track?” (projecttimes.com). The PM adjusts the schedule at the meeting and they settle the next steps there so that the team knows what is happening. To me this seems kind of similar to crashing. The team and project manager adjust the schedule if need be on a weekly basis whereas crashing would most often occur as one point and would adjust each critical path to crash it down to the desired time frame. The author of the article also provides some suggests as to planning milestones. One of which was timing between milestones should not be too far apart not too close together. I feel that with everything we learned in class, timing is the most flexible yet most critical part of managing the project. You can crash a project down from 14 weeks down to 10 weeks and if you don’t do it right you may be incurring more cost than you should be. If something doesn’t go as planned then you need to be sure you allowed yourself that extra time to adjust anything you need. How do you like to approach projects? Do you have another strategy to approaching projects? The key issues that we have discussed in class have primarily focused on business development with the implementation of project management and the key factors of being successful as a company. For Netflix, the online streaming provider, has been facing a downfall in its subscribers after the subscription price increase and removal of its DVD by mail services. However, recently CEO, Reed Hastings, has been trying to improve Netflix by not only creating deals with its partner,CW Network and Weinstein Co, but he has also decided to expand their network with over 51 markets. Many of these ethical issues such as the cancelled subscriptions of many customers, have put pressure on Hastings and created a rising competition with other streaming services. Hastings is now trying to find a way to win more customers after the huge loss of over 800,000 subscribers. Hastings is also using the technique of forecasting by predicting the success of the company after the new projects have landed. Hastings believes that by expanding over different markets and waiting for the fourth season of “Arrested Development” to come out, will help boost the companies overall success rate. However, I think that many other ideas need to be put in place. As being a Netflix subscriber myself, Netflix has many other things to take under consideration such as the quality of the videos or the selection of TV shows or movies available. Simply waiting and hoping for the new season of “Arrested Development” to become available to hopefully boost up the amount of subscribers is not a strong enough technique to have effective project management decisions. However, expanding Netflix to different countries was a very smart idea for Hastings to do. Hastings went out and broke down the structure of where Netflix was lacking based on customer expectations and is implementing different strategies to help increase revenue and bring back old subscribers. 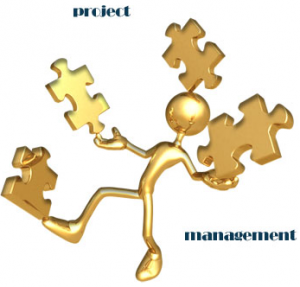 This is a very important part of understanding the correct procedures needed to be a successful project manager. Lets just hope that these decisions will help Netflix’s success in the future and continue to beat out the over priced video providers such as “red box”. For those of you who have not, I will quickly give you an idea of what this party is. Recess takes place at a small venue known as Barn & Company (on the corner of Sheffield and Wrightwood). It is labeled simply as, “the party,” because that is what is it is – a party. Myself along with a few other young gentlemen began Recess just a few short weeks ago; however, it has been growing and growing each and every week. This particular event is no where near the size of a nation wide music festival, yet it requires just as rigorous planning. Every thursday night there is a standard that needs to be met. This standard would fall apart if proper planning was not set into motion during the weeks prior. Planning, scheduling, and controlling are three crucial aspects in this process. When I sit down with my partners and discuss each week, we first begin by planning. This included assigning specifics roles to each individual involved, and setting goals (such as how many people we aim to have come out to the event). After this takes place, we then schedule. We write out a list of deadlines that we hold ourselves and each other accountable for meeting each week. For example, this past week we decided to bring confetti cannons to the bar – something to add a little extra kick. My partner, Max, was assigned the task of getting the confetti cannons. He was given a specific amount of money, of which we budgeted throughout the planning process, and was to purchase the confetti canons by a designated date. He carried this task out successfully (if you were wondering). Following all of this, we began the controlling phase. This also included monitoring budgets. Money was initially allocated to each individual for supplies, and the supplies purchased by that individual had to fit within the budgetary restrictions. This process does not always go smoothly though. There are times where we in fact fall behind, or a wrench gets thrown into the system. In these cases we need to restructure our original plans and deadlines. In these cases, project management techniques help tremendously. When we initially sit down and write out our list of tasks we note each task that can be done before any other task starts. For example, when we go to purchase supplies, we set a specific deadline. However, something such as this has a lot of slack because we just need to ensure that the supplies are purchased before 9:00 pm on a thursday evening (the whole point being though, that we do not wait until the last minute to run around and get supplies). This event, Recess, has proven to be a prime example of project planning and management. The phases and techniques will surely help in future ventures as well.